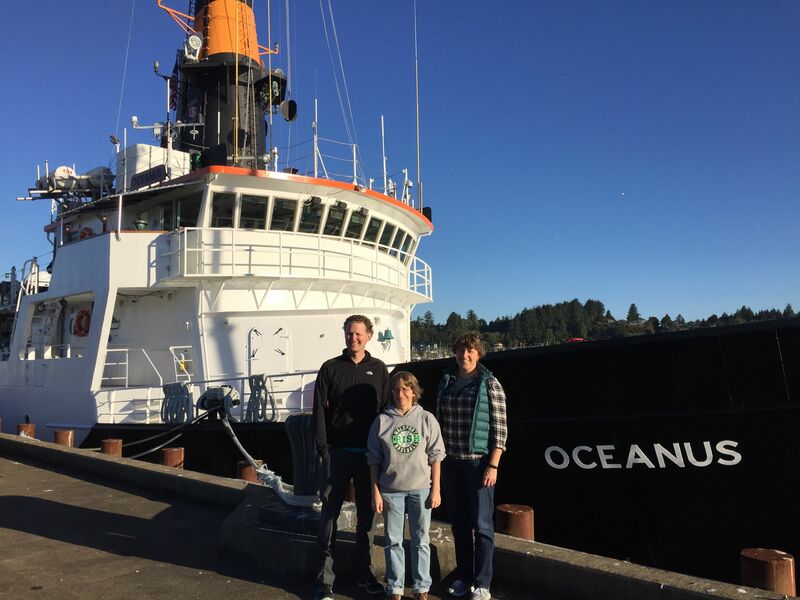 Three Oregon high school teachers are among the participants working on the R/V Oceanus this week. 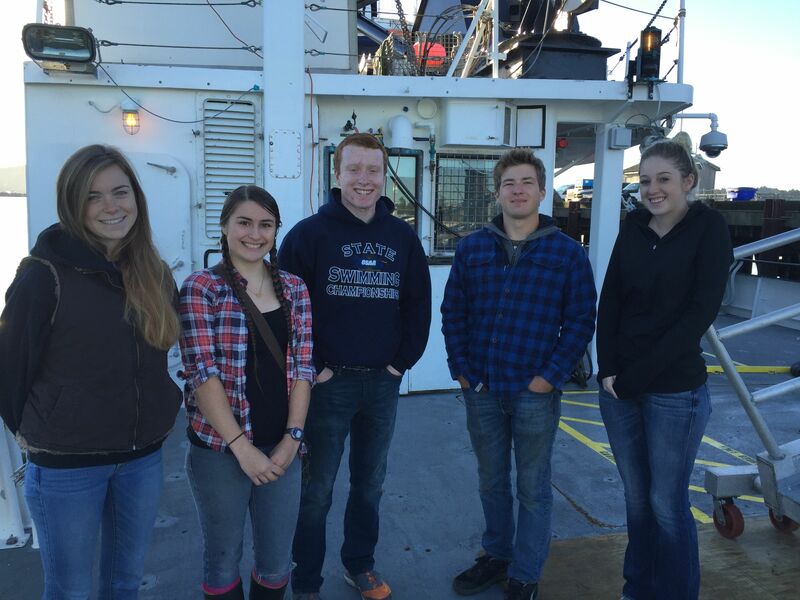 This week, students and teachers from the Oregon Coast STEM Hub are joining Oregon State University scientists aboard the research vessel Oceanus to gain at-sea research experience. The project, “Building the STEM Pipeline through Oceangoing Research and Near-Peer Mentoring” is a collaborative effort that aims to enhance critical STEM skills among coastal learners. We couldn’t have asked for better weather as we departed Newport on our cruise offshore to conduct marine mammal and seabird surveys and collect oceanographic data. 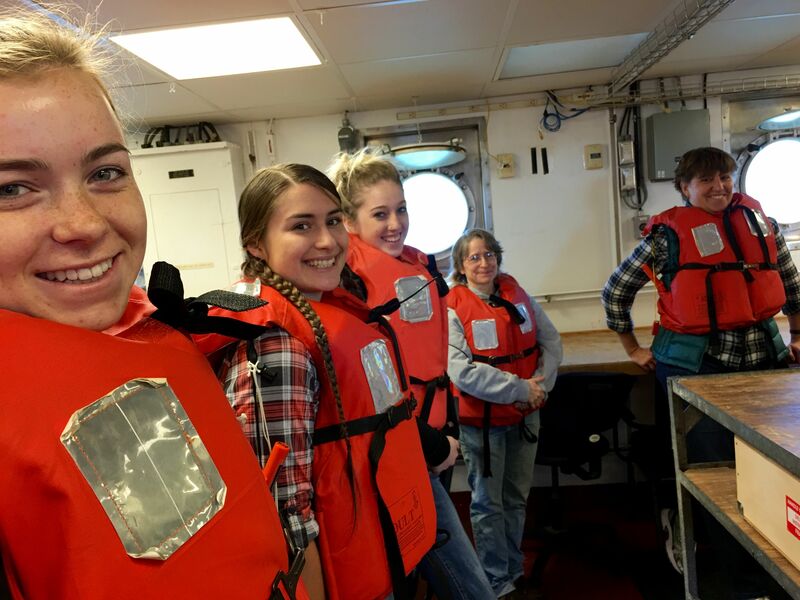 My first cruise as PI (Principal Investigator), we have 3 high school teachers, 4 high school students, an undergraduate student and 3 graduate students working with our chief scientist from OSU’s Marine Mammal Institute. We got our first glimpse of marine mammals (sea lions and gray whales) crossing the bar and have successfully completed our first CTD. A few seasick folks but otherwise we are off to a fantastic start! Teacher Kama Almasi has a blog that she is using to connect back with her students at Waldport High School. Her first entry focuses on the colorful science of seasickness, but we hope no one will be collecting THAT kind of data on this trip! 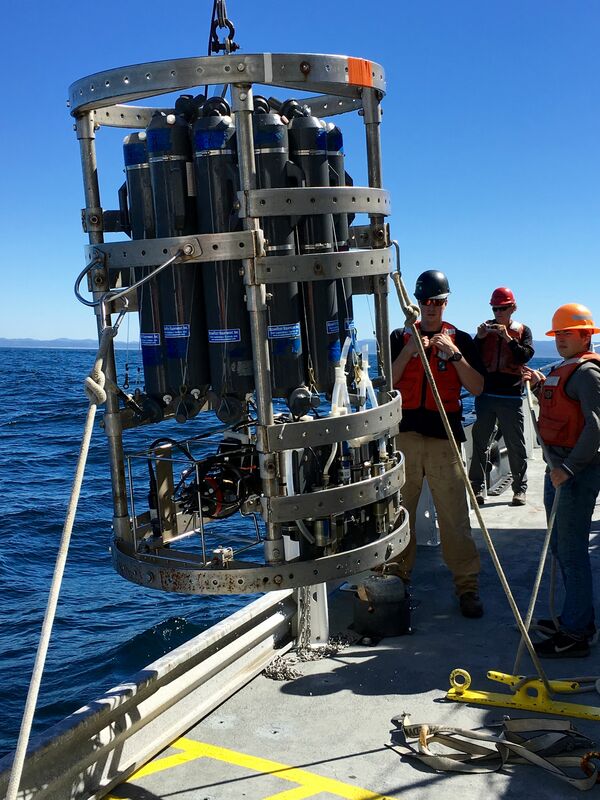 On their first day at sea, the students and teachers have been working with researchers and crew members to deploy and retrieve CTDs. These instruments collect conductivity, temperature and depth data to provide a profile of the water column. WHERE IS THE R/V OCEANUS? Track the R/V Oceanus on websites such as www.marinetraffic.com. Type in the vessel’s special number “7603617” into the search engine, and you can find out the ship’s location, travel pattern and other information. Stay tuned and follow along to find out what this group will be doing next! 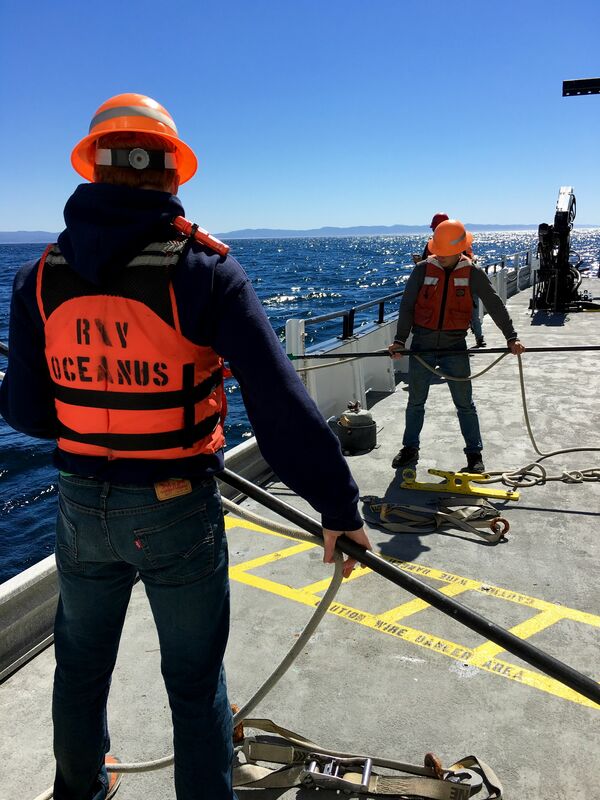 The R/V Oceanus will be in Portland by September 16th, and will offer a variety of outreach activities for the public, teachers and students while the vessel is in port. For more information, read the OSU press release or contact OregonCoastSTEM@oregonstate.edu.